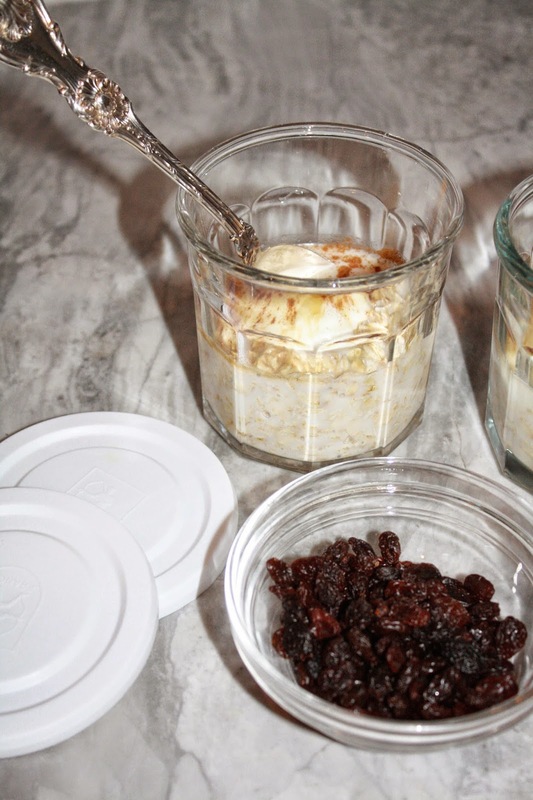 I love these overnight oats so much that I could eat them several times a day. They are made ahead of time so it is easy to grab them on the way out the door in the morning. I found this particular recipe on 100 Days of Real Food. It is much better for you than store bought granola bars or cereal. Tastes better too! 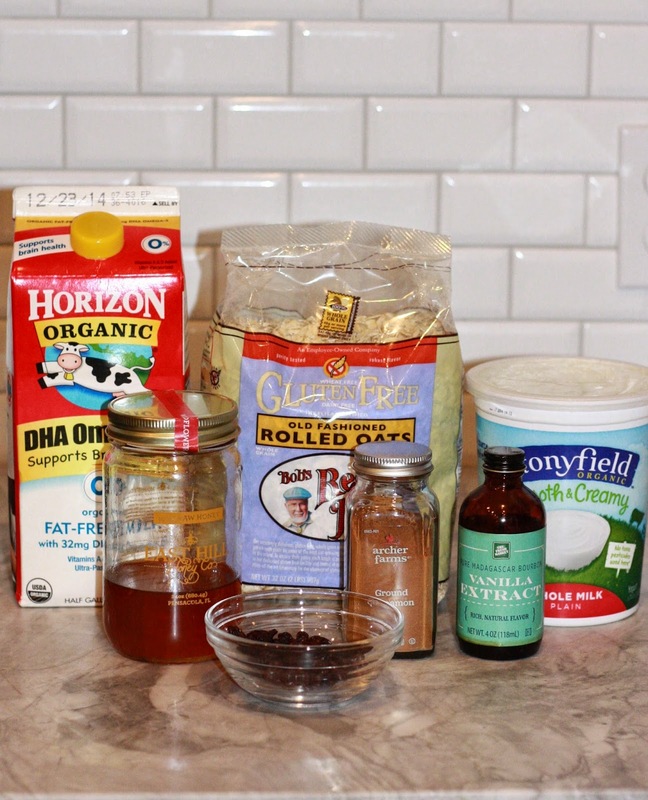 Mix the ingredients in a mason jar or other small container. Refrigerate for at least five hours or overnight. Don't worry if they seem soupy at first, they will be great in the morning! I'm more into the savory oatmeal, but I know a lot of people swear by the overnight oats! Not for everyone but I love the texture and taste. This recipe is not too sweet though. Thanks for stopping by! I had a roommate that would make these and the house always smelled so good!! Might need to try these myself!! thanks for sharing! You're welcome! Thanks for checking out our blog! i've always loved oats and oatmeal. Thanks for sharing! You're welome! Your pumpkin spice cupcakes sound great too! I've been making so much pumpkin bread and muffins lately. My son loves them. Thanks for stopping by! 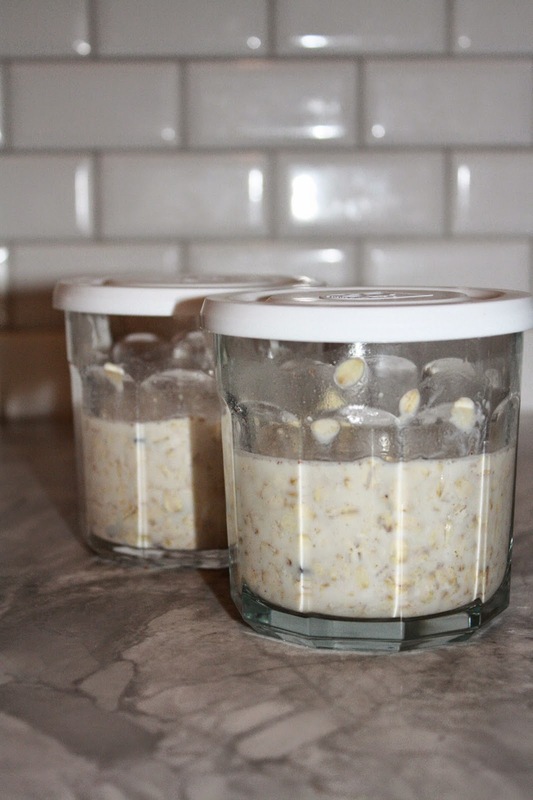 I've always read about overnight oats but never tried them myself. Do you warm them up in the morning or eat them cold? I eat them cold but some people warm them. I don't really like warm oatmeal that much but I love this because it is cold. Thanks for stopping by!